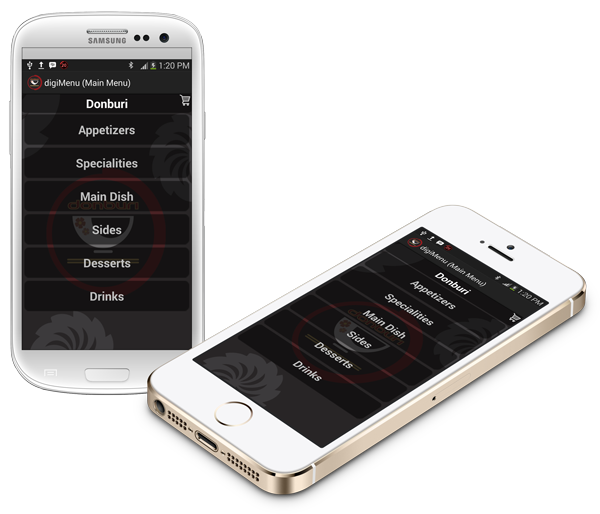 DigiMenu is a mobile application developed in different mobile platforms. 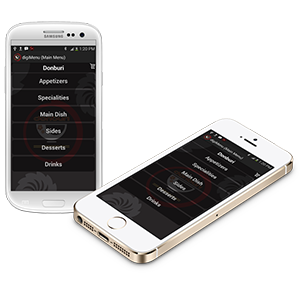 It’s an application that replaces traditional restaurant menus. The application displays restaurant menu different categories on waiter’s tablet, client selects his food orders and views order total amount. Finally client gives his order to the waiter to proceed the order. Donburi is a japanese restaurant decided to make his delivery services on mobile application. Donburi requested an application to manage food orders services on tablets instead of old traditional menu. Donburi waiter gives his tablet to the client to make his order and view order total amount and gives back the tablet to the waiter to proceed the order.